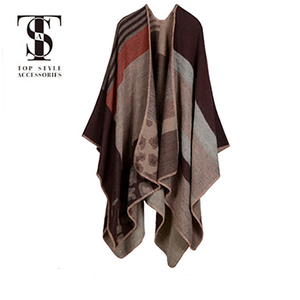 Why choose Brand Design Women Large Scarves Quality Winter Autumn Floral Shawls Wrap Fashion Elegant Long Tassel Satin Silk Scarf from us9 1. 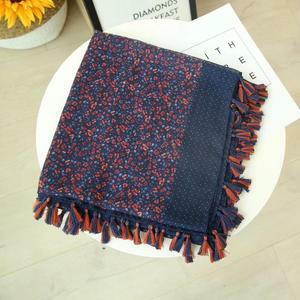 OEM, ODM, Customized Patterns are highly weclome, 2. Industrial experience: since 2005, 3. Free sample, New styles present weekly, 4. 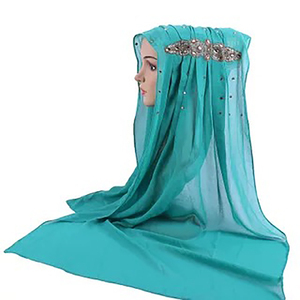 One-stop Accessories Purchase Agent Solution since 2008 Welcome to&gt;&gt; Linked Fashion Group Limited Linked Fashion Accessories How to contact you9 Any Instant Chat Tool9 SKYPE: linkedinfashion Mobile & WhatsApp: 0086-15858904288 0086-15158916218 E-mail: (Email us NOW to get catalogs) Brand Design Women Large Scarves Quality Winter Autumn Floral Shawls Wrap Fashion Elegant Long Tassel Satin Silk Scarf Brand Design Women Large Scarves Quality Winter Autumn Floral Shawls Wrap Fashion Elegant Long Tassel Satin Silk Scarf 2018 New COLLECTION will be sent to your email upon your INQUIRY NOW Item Plaid Blanket Thick Winter Scarf Tartan Chunky Wrap Oversized Shawl Cape Material: acrylic scarf Size: 140*140cm or could be customized Color black,gray,aqua/turquoise,navy,brown,mint,purple,tan,red,coral,pink,green,yellow, Payment: Escrow ,T/T , L/C, Western Union, Money Gram,Cash MOQ: 50pcs/design/color of 1pc if have goods in stock Shipment : by air /DHL/FedEx UPS TNT or as your requirements Package: one piece in one polybag and about 100 pieces in one carton weight: about 240g/pc Delivery time: In stock now ,can be ship out asap WARRANTY: 100% refund if you are not satisfied with our PRODUCTS/Service. Please click the button below to view our homepage. 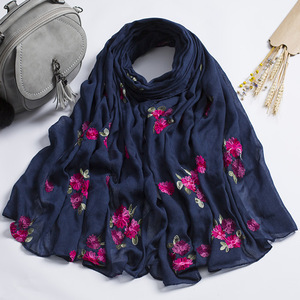 Brand Design Women Large Scarves Quality Winter Autumn Floral Shawls Wrap Fashion Elegant Long Tassel Satin Silk Scarf . 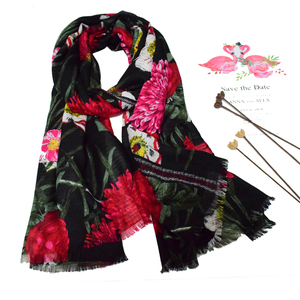 Alibaba.com offers 324 black floral shawl products. About 39% of these are other scarves & shawls, 3% are silk scarves, and 1% are scarf, hat & glove sets. 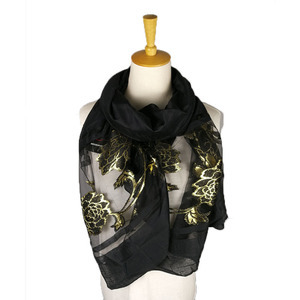 A wide variety of black floral shawl options are available to you, such as printed, yarn dyed, and embroidered. You can also choose from free samples. 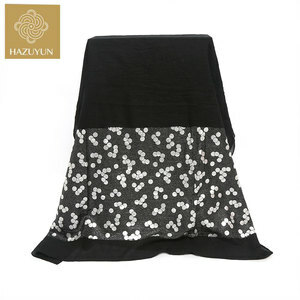 There are 324 black floral shawl suppliers, mainly located in Asia. 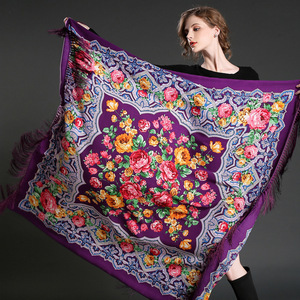 The top supplying countries are China (Mainland), Pakistan, and India, which supply 82%, 15%, and 1% of black floral shawl respectively. 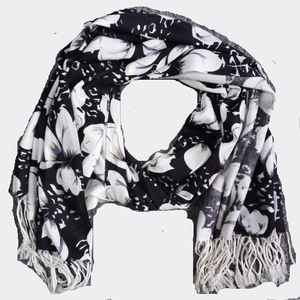 Black floral shawl products are most popular in North America, Western Europe, and Domestic Market.